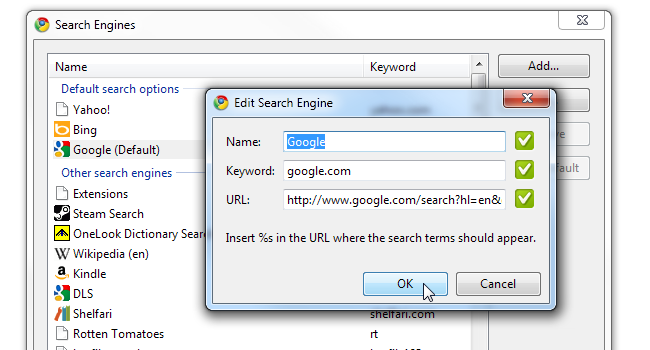 Google Chrome’s default search engine is Google. This makes perfect sense; the only problem is that it uses localized Google – for example, Google France or Google Israel. This impacts the interface language, and sometimes even the text orientation. 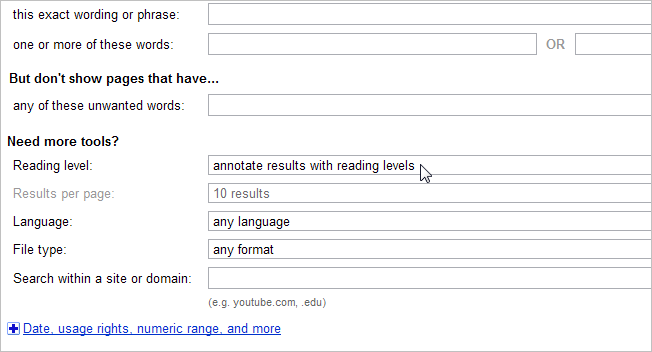 Here’s how you can fix this and get “international” Google results with an English interface. Now copy this string someplace safe (such as a text editor), right-click Chrome’s address bar and click Edit search engines. 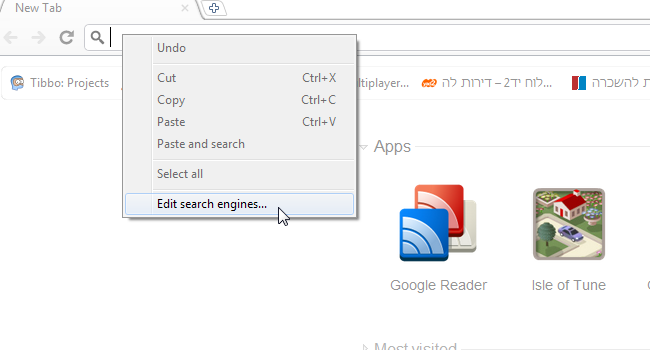 Chrome would not let us edit the default built-in search engine, so we simply created a new one and made it the default. Click Add to add a new search engine. 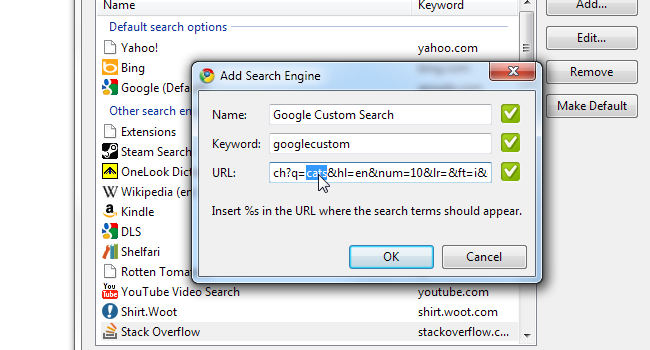 Under Name, write down anything you like – “Custom Google Search” or anything that seems appropriate. Chrome also makes you specify a keyword; it doesn’t really matter what keyword you specify because we’ll be making this your default search. 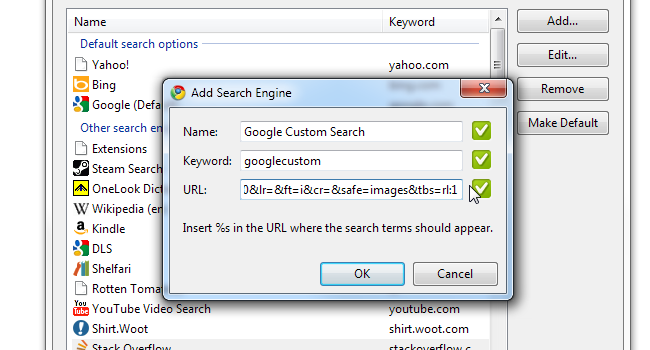 After specifying a name and a keyword, paste your search string into the URL field. The next step, as Chrome helpfully points out, is to locate the word “cats” in our search string and replace it with a special token, %s. This token will be replaced by whatever we search for. Once that’s done, click OK. 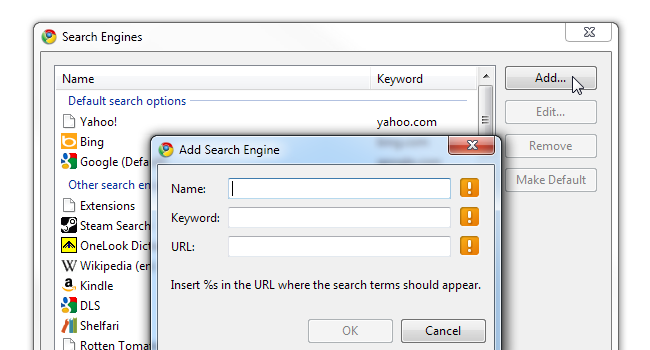 Your new search engine should appear at the bottom of the big list of search engines. Make sure it’s selected and click Make Default. That’s it! From now on, whenever you enter a search directly into Chrome’s address bar, you will be taken to your own customized search page.